A Bachelor of Science in Nursing (BSN) degree could open up lots of doors for you, as bachelor’s prepared nurses can work in many different specialties. If you’re ready to spend four years on your nursing education and want to focus on taking care of patients, check out our list of bachelor’s-level nursing programs. Contact schools in your city and nearby communities to find out what it takes to become a nurse. If you’re an RN looking to get your BSN (Bachelor’s of Science in Nursing) degree, check out featured RN-BSN programs and request information to begin your search to find the top undergraduate nursing schools. Grantham University offers you the chance to earn a degree at the times and places that are convenient to you, while taking advantage of our student-centered academic model with one-on-one online academic support. We want students to succeed in school and life. If you are just starting to look into your schooling options for your nursing degree, we hope that you will find the information and resources on our site helpful. On this page you will find information about becoming a prepared nurse by earning your BSN, what you’ll study in your BSN programs and what your program requirements are, as well as a list of the best BSN nursing schools from all over the United States. Most BSN programs take about four years to complete and offer a foundational base of nursing knowledge. You will complete general education requirements along with your nursing courses. There are also nursing clinical requirements, where you will work directly with patients to develop your nursing skills alongside getting your 4 year nursing degree. What Are the Job Duties of A BSN? What Does a BSN Do? When you speak with schools with undergraduate nursing programs, make sure you discuss the daily life of the nurse role you’re aiming for. Students in every area should have colleges with bachelors in nursing options to choose from. According to 2018 data from the Bureau of Labor Statistics, RNs earn an average wage of $73,550 per year. This figure takes all registered nurses into consideration; all degree levels, and all work locations. If you become an RN, your salary will vary based on the degree you earn (an associate or a bachelor’s), your employer/work environment, and your location. RNs with an associate degree earn between $64,700 and $98,100 annually. RNs with a bachelor’s, on the other hand, earn between $67,950 and $100,150 annually. As you have probably determined, it is possible to earn a good living as a registered nurse. The other good news is that job growth is expected to grow 15% from the period between 2016 and 2026. These nursing job outlook lists can show you how important it is to look at your state’s job openings and speak with schools to get the best idea of what your salary potential can be. The best BSN programs will do everything they can to help students prepare for the local employment landscape once you complete your degree. Be sure to ask about NCLEX pass rates and new grad nursing resources when you talk to nursing schools. The more support they can offer, the better off you should be when it comes to finding a nursing job. What Are the Admissions Requirements for a BSN Program? What Are The Admissions Criteria For a Bachelor of Science in Nursing Program? In order to be accepted into a bachelor’s level nursing program you must meet basic education and admissions requirements. You must apply for admission to the college you choose, as well as to the nursing department itself. The best undergraduate nursing schools can be highly competitive, so be sure to make your application stand out. 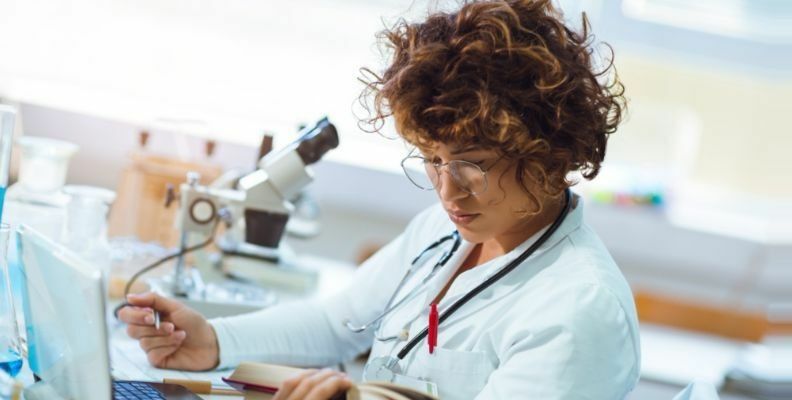 Many nursing schools look at both academic and non-academic qualifications as part of the admissions process, especially in highly competitive programs. How Can I Get Into a Bachelor’s in Nursing Program? Enrollment in a Bachelor’s in Nursing program usually requires a separate application to the School or Department of Nursing. This is in addition to applying to the college you want to attend. This process can seem a bit daunting at first, but if you begin early and get organized, it can be quite manageable. Keep in mind that the top undergraduate nursing schools have hundreds of applicants each term, so you need to go above and beyond if you want to apply to the best BSN programs in your area. Though each nursing department will have its own specific application requirements, there are common things you will need to obtain and/or document in order to apply. In order to graduate with your Bachelor’s degree in Nursing, you will need to complete anywhere from 100-140 credits of coursework. You can also expect to complete several hours of nursing clinicals along the way. The best way to determine the requirements for earning your BSN is to contact the schools you are interested in to request program details. Nursing programs that are accredited by the American Association of Colleges of Nursing and/or the Accreditation Commission for Education in Nursing (formerly NLNAC) have standardized requirements. Some of the common components of a Bachelor of Science in Nursing degree are outlined below. Becoming a nurse can be a very rewarding career choice, and finding the right educational institution to meet your needs can help you succeed. Contact the BSN nursing schools that you see on our site to get program details before you apply. I Finished My BSN…Now What? At the end of your BSN program you will be eligible to take the NCLEX-RN exam, which is the national licensing exam for Registered Nurses, and to look for employment as a nurse. Once you successfully pass the NCLEX-RN, you can apply for your Registered Nursing license through your State Board of Nursing. You will likely complete another background check, including a review of your criminal record, if applicable. You will need to visit your State Board’s website to obtain the application itself, along with information and instructions. As a Baccalaureate prepared nurse, you are eligible to work in a variety of nursing practice settings including nursing homes, hospitals, clinic, managed care groups and community based settings. You be responsible to provide direct patient care, case management services, care coordination, as well as health and wellness education for individuals, families and communities. With a BSN your available opportunities will likely be diverse, allowing for job options in a variety of healthcare sectors. Many of your main responsibilities as a nurse will include caring for others, documentation, patient assessment and subsequent decision making regarding the best care giving options for your patient. As a nurse, you will need to be able to communicate effectively and must be able to work well in a team setting, and remain calm in stressful situations. A great way to learn more about what the life of a nurse is actually like is to job shadow an RN for a day. This can give you a glimpse into the realities of the profession, and may help you to decide upon a practice setting or educational focus in the future. Take some time to request information from the Bachelor in Nursing colleges on this page, giving yourself a great start in the search for finding a nursing program today! The easiest way to search our directory of undergraduate bachelor of science in nursing programs is to use the links below to check out the full list of programs in the state where you plan to study nursing. RN’s who complete 4 year nursing programs can look for many types of job opportunities across the United States. There are many different RN roles that BSN nursing schools can prepare you for. Believe it or not, there are many other kinds of nursing roles beyond this list, some of which may require an additional certification or training. That’s another reason you should speak with every school on your list of colleges with Bachelor’s in Nursing. No matter where you are in your nursing education or career, Best Nursing Degree has help for you. You can also use our simple search tools to see the best BSN programs in your state right now.